For more than five decades, AUCD’s network of Centers in every state and territory has invested, through research, training, and advocacy, in improving the lives of millions of individuals with disabilities, their families, and communities. 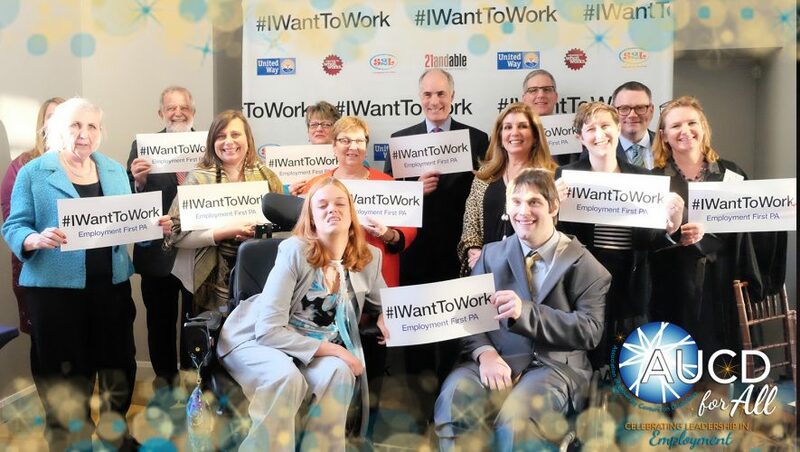 The AUCD for All celebration brings together leaders inside and outside our network who develop and sustain inclusive employment opportunities at the community, state and federal levels to foster long-term partnerships and collaborations in support of people disabilities achieving meaningful employment. to be done. We honored Pennsylvania’s 21andAble, a youth-led initiative that provides young adults with disabilities a roadmap to employment and independent living after high school, and V. R. Ferose, Senior Vice President of Globalization Services at SAP, who founded the company’s global “Autism at Work” initiative after the diagnosis of his son. Both shared personal stories that reminded us of the tremendous impact that inclusive employment can have, for both the person and the employer.